Ferrous Claus Has A Gift For You! Sleigh Bill Ring, are you listening?! While the snow isn't glistening at Leidos Field quite yet, this deal certainly is! Beginning today, and continuing until supplies last, secure a field level seat (sections 123 & 125) to IronBirds Opening Night, Friday evening, June 14, for just $12! Since Ferrous is in the holiday spirit, he'll include a special gift for you: a Bill Ripken bobblehead doll. This special offer won't last, so purchase yours today, while Ferrous is in the giving spirit! 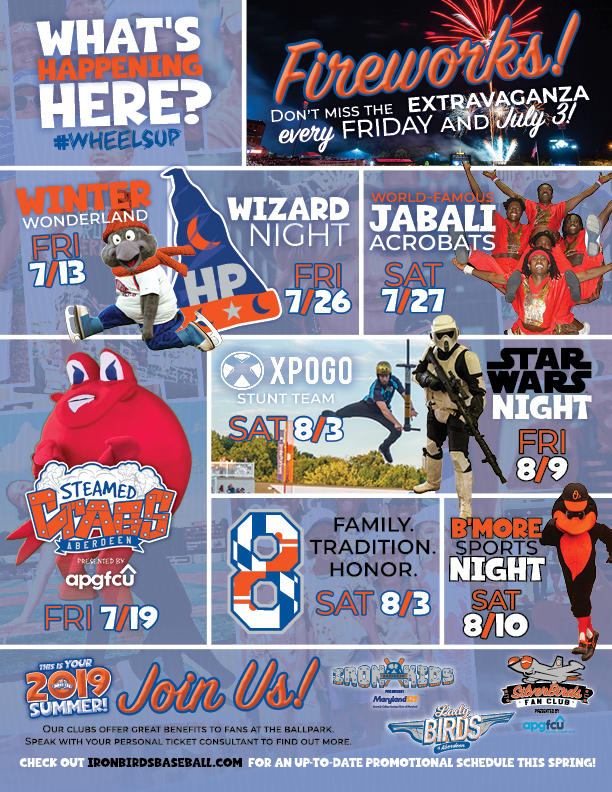 #WheelsUp on your 2019 Summer with the IronBirds! Season Seat Memberships are now available, find a plan that works for you!